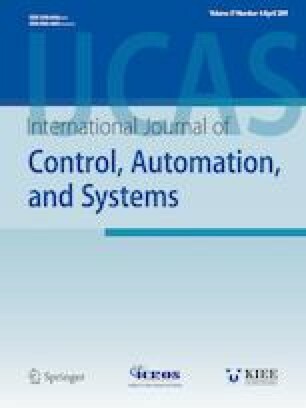 In this paper, the problem of robust adaptive control for nonlinear systems with unknown time-varying parameters and disturbance is considered. Forthis purpose, an indirect adaptive controller based on the Dynamic Surface Control (DSC) is proposed where an adaptive scheme is presented to provide estimations of unknown time-varying parameters. First, the parameters are approximated in terms of polynomials with unknown coefficients using the Taylor series expansion. Then, these unknown coefficients are estimated using a novel adaptive law. Itis shown that the proposed control scheme guarantees the stability of the overall system and the tracking error can converge to a desired small residual. Finally, simulation results are given to demonstrate the effectiveness of the proposed method. Recommended by Associate Editor Xiangpeng Xie under the direction of Editor Jessie (Ju H.) Park. Mojgan Elmi received her M.Sc. degree in electrical engineering, control field from the City University London, UK, in 2011. She is a Ph.D. candidate in electrical engineering at Amirkabir University of Technology. Her research interests include time-varying systems, system Identification, adaptive control, robust control and control of nonlinear systems. Heidar Ali Talebi received his Ph.D. degree in electrical and computer engineering from Concordia University, Montreal, QC, Canada, in 1997. He held several postdoctoral and research positions at Concordia University and University of Western Ontario, before joining Amirkabir University of Technology in 1999 where he is currently a Full Professor. From 2002 to 2004, he also served as the Head of Control Systems Group in Amirkabir University. His research interests include control, robotics, fault diagnosis and recovery, intelligent systems, adaptive control, robust control, non-linear control, and real-time systems. Mohammad Bagher Menhaj received his Ph.D. degree from the School of Electrical and Computer Engineering at Ohio State University in 1992. He is currently a Full Professor at Amirkabir University of Technology. His research interests include nonlinear adaptive control, artificial neural networks, complex networks and multi-agent systems.